It is important to sample surfaces of processing areas, equipment and processing aids because foods can be contaminated during processing by pathogenic bacteria that persist in the manufacturing environment, e.g., various species of Listeria and Salmonella. 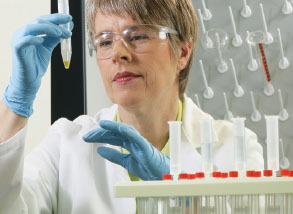 Our Environmental and Hygiene portfolio offers a large selection of Thermo Fisher Scientific products for environmental testing, including Environmental swabs, Contact & Settle plates; as well as a leading solutions in air and ATP surface sampling from global brands such as 3M and Neogen. All are designed to meet regulatory guidelines, monitor your processes, and ensure the accuracy of your in house environmental and hygiene testing. Designed for your most regulated environments, Thermo Scientific Triple Wrapped Irradiated Plates feature the latest in quality-assurance technology. From advanced layered protection to enhanced performance, it’s the superior choice for environmental monitoring. A range of hygiene monitoring and environmental monitoring products including Hygiene Surface Sampling Kits offered in a variety of different formats (Hygiene Swab and Hygiene Sponge) to optimise hygiene and environmental monitoring protocols. Colitag™ uses a selective and differential medium capable of detecting Total Coliforms & E. coli in drinking water, surface and source waters samples within 16 - 48 hours. Colitag™ does all this with a simple, ready to use medium that you combine with a water sample. 3M™ Clean-Trace™ Surface Protein Monitoring Systems is intended to be used as a simple method to determine the cleanliness of food contact surfaces and equipment. The user simply rubs the sampler’s tip across a surface, places the sampler back in its cartridge and activates the test by depressing the plunger through the cartridge. After 10 minutes, the sampling tip is compared to a colour chart to gauge the level of protein detected. Neogen’s AccuPoint® Advanced system (integrated sampler, reader and software) provides an economical, fast and accurate way to monitor cleanliness by measuring adenosine triphosphate (ATP) on surfaces or in liquids. No matter if your sanitation program is basic, enhanced or advanced, AccuPoint Advanced is ready when you are.